While Bitcoin currently bears more resemblance to digital gold than digital cash — with its congested pending transactions log rendering it practically useless as a currency since the cancelled fork two weeks ago — the Ethereum network is looking healthier than ever and in a good position to come out of the ongoing currency war successful. Bitcoin has been dominating both crypto and mainstream news lately, even more so than usual, with mad volatility due to its continuous fork drama and rumours of free money for anyone holding it. Bitcoin breaking new all-time highs almost on a daily basis certainly doesn’t do anything to decrease the attention. With this one-sided media coverage, it’s no wonder no one outside the small crypto community knows that Ethereum is regularly handling around twice the daily transactions of Bitcoin, and more than most other leading cryptos combined, that Ethereum’s transfers are extremely fast compared to Bitcoin’s, or that its median transaction fees are nearly 59 times cheaper. Some Bitcoin maximalists are calling the high transaction fees a feature. Some also say that the fact that BTC collects $1.5 million a day in fees, against ETH’s measly $200,000, is a clear indicator of real world value as it shows that people are willing to spend more money to get onto the BTC blockchain. However, there is a difference in being willing to spend more money and being forced to. Lately, Bitcoin has lived up to its name as a great store of value, although not for the right reasons. Since the cancellation of Segwit2x, people have simply been unable to move their funds in or out. With a ridiculous number of transactions constantly waiting to be mined, you better be prepared to pay up if you want to get your transaction through in reasonable time. In its current state, Bitcoin isn’t much more than a speculation vehicle, something to be bought and sold on exchanges (whose trades happen off-chain and therefore aren’t affected by the long confirmation times). Few people need to use it. There aren’t many companies building on it. It’s not even useable as payment anymore. But maybe it doesn’t have to be either. Maybe we should be looking at Bitcoin and other coins and tokens as an entirely new asset class, something we don’t fully understand the implications of yet. While there are many other blockchains claiming to be able to supersede Ethereum on all of the above areas, with EOS being most vocal about it, personally I’m a bit tired of hearing about what all the projects out there could revolutionize some day. The discussion should no longer just be about which blockchain can handle more transactions faster and cheaper, but also about which one is actually seeing the numbers required to prove its capabilities right now. There’s currently no other project competing with Ethereum when it comes to the sheer number of use cases, and developers and companies building cool stuff on top of it. Some of these teams will be building the new backend of the internet, nothing less. After months of poking ETH with a stick it’s finally showing signs of life again. If Metcalfe’s law and the high activity levels on the Ethereum platform can be used as any reference, the Ether price is currently heavily suppressed. Over the past week it has finally started to see some upwards movement though, moving from the safe haven that has been $300 for so long now, and just passed $400 at the time of writing. 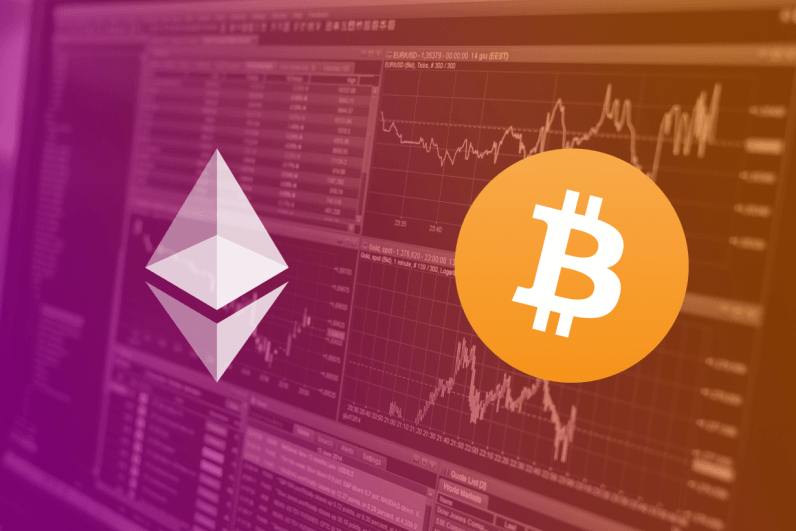 Over the last few months, investors speculators have found comfort in the fact that price stability, consolidation, and steady long term gains are usually signs of strong fundamentals, however the past few days have regained confidence in the platform, bringing back the optimism from Ether’s last bull run back in May. Considering that public Ethereum doesn’t have any major dapps live yet, it’s going to be interesting to see how the network scales with the increase in transactions that will come as more and more applications launch in 2018 — especially if traffic really starts picking up before Casper and other scaling measures get implemented. Right now though, the beloved and hated ICO is still arguably Ethereum’s killer app and ETH’s value is, just like BTC’s, purely a speculative one.